You will find that Arts and Crafts are just as beneficial for adults as they are for children. They can help you relax, unwind and enjoy. Some activities are even proven to be therapeutic. 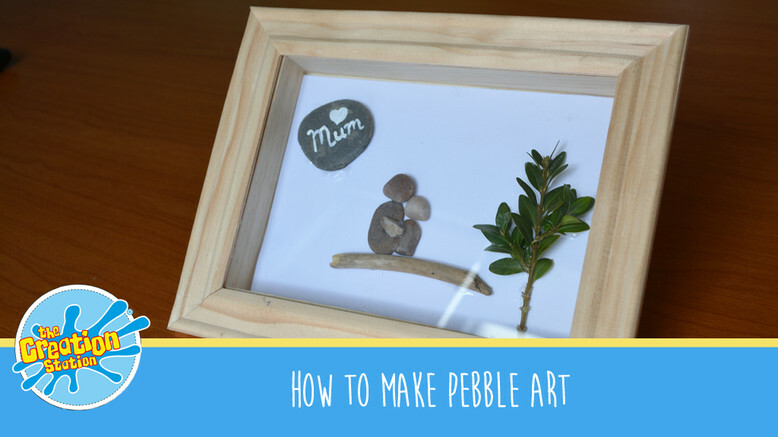 Pebble art is really taking off in Arts and Crafts world because it's so easy to do and the results are astonishing! Add leaves to make trees or any other decorations of your design. If adult creations is something you are interested in, then Creative Crafters events are perfect for you. Creative Crafters events last approximately two hours and take place in a variety of settings, both during the day and in the evening. You will be warmly welcomed by one of our trained and friendly DBS checked Creation Station leaders. All the materials, tools and instructions are provided, so you don’t need to worry about bringing anything. We have lots of ideas and inspiration to help you enjoy a relaxed, social and fun event. You will enjoy a drink and nibbles with friends whilst making some beautiful crafts. You will find that our focus on the creative journey is far more rewarding than just copying or striving for a perfect finished product. As your ideas develop, you will be amazed at the outcome and the fun you can have by making some time to be creative. We look forward to sharing fun creative journeys with you.